Gaza’s last functioning turbine was shut down on Wednesday due to a severe shortage of fuel,plunging the Strip into near total darkness, according to Haaretz. Gazans protested to raise awareness of the unfolding humanitarian disaster in the besieged enclave as a result of the power crisis and salary cuts imposed by the Palestinian Authority in occupied Ramallah on 14 July 2017. 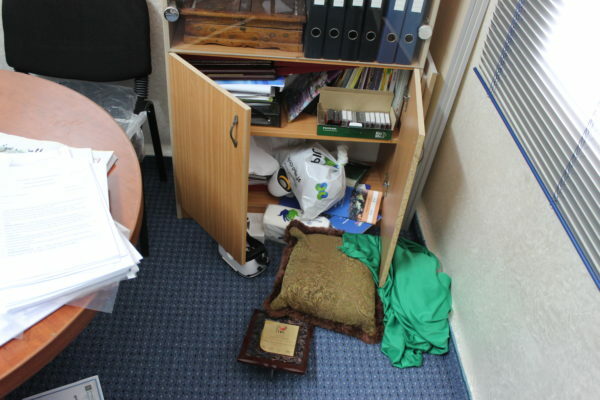 Early Thursday morning, Israeli forces raided the al-Khalil headquarters of Al Quds media, kicking down doors to gain entry before confiscating computer hard-drives. 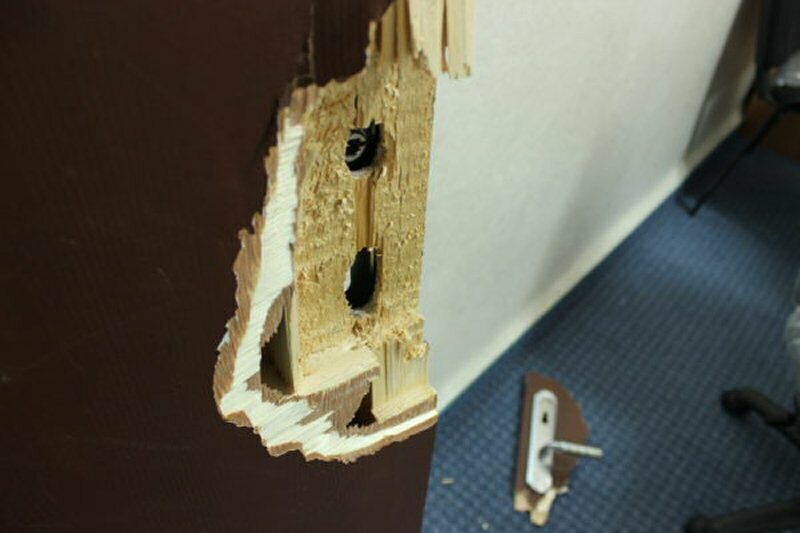 The soldiers searched two press offices in the building, belonging to Ramsat and Pal Media news agencies. 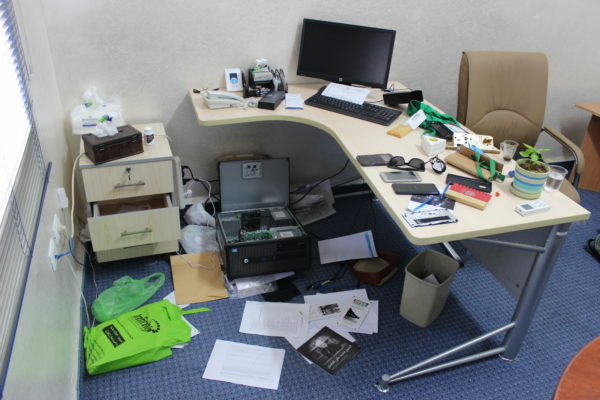 After scattering documents across the floor, they confiscated the hard-drives from all computers in the Pal Media office. 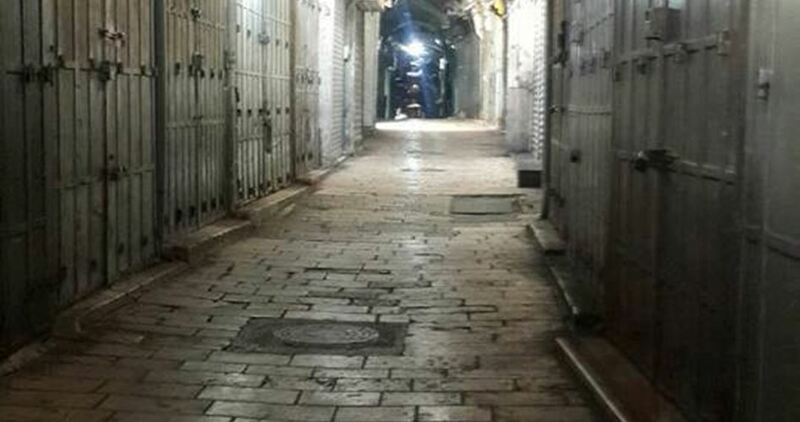 The soldiers were seen by a neighbour at between two and three o’clock in the morning, having apparently walked from Bab al-Baladiya military base in Hebron’s Old City. While Al Quds are not concerned that any sensitive information was contained on the hard-drives, some believe that the purpose of the raid was to scare journalists into conducting self-censorship. Akran Natsheh, a reporter for Al Quds, believes that this raid is simply part of an ongoing pattern of harassment. “Two years ago, they began shooting at reporters when they were covering clashes, and it made them much more afraid to cover what was happening”, Natseh explained. “When Israel starts attacking journalists, you know they are about to make a large violation that they don’t want the world to see. The raid comes at a time when media laws are tightening under the Palestinian Authority, with a new law on ‘digital crimes’ set to restrict freedom of speech online. While this is the first time that Al Quds’ Hebron office had been raided, such intimidation of journalists has been a common occurrence in occupied Palestine, where 383 such incidents were recorded in 2016 alone. Notable incidents include the storming of Trance Media offices across the West Bank in 2014, the forced closure of three local radio stations in al-Khalil in 2015 and the arrest of four journalists at a radio station in Dura, last year. JERICHO (Ma’an) — Palestinian police detained 66 Palestinians over the past week for either being wanted by the Palestinian Authority (PA) or for being banned from traveling abroad, according to a statement released on Saturday by the Palestinian police. All 66 Palestinians were detained while attempting to exit the occupied West Bank into Jordan via the Allenby crossing, the statement said. 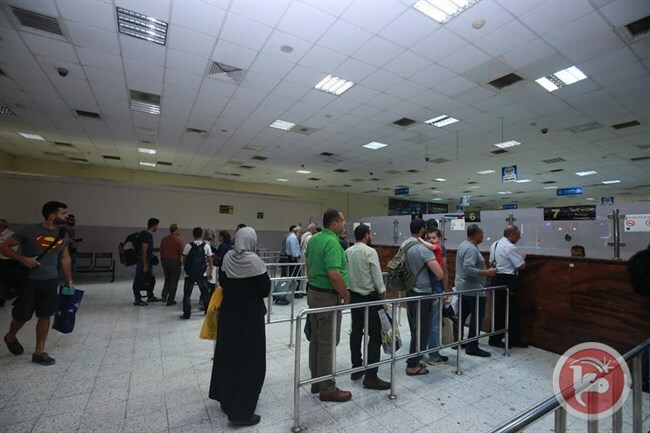 The statement noted that some 62,000 Palestinians and visitors passed through the land crossing over the previous week, adding that 28,791 passengers left the West Bank into Jordan while 33,132 arrived in the West Bank from Jordan. Coordination was also made for 15 sick Palestinians on both sides of the border to cross Allenby in Palestinian ambulances during the same time period. Meanwhile, 29 people were turned away from the Israeli side of the Allenby crossing for alleged security reasons. Both Israeli and Palestinian forces routinely detain Palestinians at the crossing, as Palestinians must cross the border to travel abroad via the Amman International Airport, while many Palestinians have family residing in Jordan. BETHLEHEM (Ma’an) — After detaining and releasing Palestinian civic activist Muhammad Jadallah, Israeli police reportedly placed Jadallah under house arrest for five days in the occupied East Jerusalem neighborhood of Beit Safafa, according to Palestinian Authority (PA)-owned Wafa news agency.Jadallah was detained by Israeli police on Friday following an interview he did on television on the ongoing Israeli-imposed closures in Al-Aqsa mosque and Jerusalem, following a deadly attack Friday morning that left two Israeli police officers and three Palestinian assailants dead.Locals told Ma’an on Friday that Jadallah was arrested because his interview was considered by Israeli police as “incitement.”Jadallah was detained from his Beit Safafa home and held for several hours in Israeli detention, before he was released on a $2,800 bail and placed under house arrest for five days.He was also banned from giving press interviews for 30 days, Wafa reported.An Israeli police spokesperson was not immediately available for comment.Israeli forces on Saturday continued to enforce for the second day the closure of the Al-Aqsa Mosque compound, where the three Palestinian assailants were shot dead after they shot and killed two Israeli police officers at the Lions’ Gate entrance to the Old City.In addition to the closure of the mosque, which was closed to Muslim worshipers for Friday prayers for the first time since 1967, Israeli forces on Saturday continued to be deployed at all of the compound’s entrances and all roads in the Old City leading to the holy site.Immediately following the attack, Israeli forces detained and questioned several worshipers who were at the mosque at the time of the attack, in addition to 58 employees of the compound, three of whom had their detentions extended in court. Throughout the different stages of their relations with Egypt, Palestinians have always respected and abided by Egypt’s policies. Even when Palestinian and Egyptian interests are in conflict, the Palestinians, in their various political orientations, are accustomed to addressing Cairo with courtesy. Recently, however, senior leaders of the Fatah political party, part of the Palestinian Authority (PA) in Ramallah in the West Bank, disregarded this well-established pattern by issuing a statement packed with accusations and attacks on Cairo. Mohammad Shtayyeh, a former labor minister and a member of Fatah’s Central Committee, said in a July 9 interview on Palestine TV that Fatah is unhappy about Egypt’s measures to alleviate the arduous living conditions in the Gaza Strip. Those measures, he said, work against the PA’s efforts to increase pressure on the rival Hamas party in Gaza. The PA wants Egypt to coordinate with Ramallah before taking any action in this regard. On July 3, Maj. Gen. Jibril Rajoub, secretary of Fatah’s Central Committee and former commander of the Preventive Security Service in the West Bank, had accused certain unnamed parties in Egypt of acting improperly in Gaza. Hamas had reached understandings June 13 with dismissed Fatah leader Mohammed Dahlan that focused on alleviating Palestinians’ suffering in Gaza by resolving the electricity crisis, opening the Rafah border crossing and resuming the Gaza reconstruction process. Rajoub demanded that Egypt not allow such discussions to occur with the PA’s knowledge. Hamas broke off violently from the PA and Fatah in 2007, leaving Hamas in control of the Gaza Strip and Fatah with the West Bank. Decadelong tension began rising in April, when Palestinian President Mahmoud Abbas sent Cairo his plan to punish Hamas by cutting staff salaries and cutting off electricity. “However, Egypt rejected [the plan], fearing the situation in Gaza would blow up in its face. Abbas was supposed to put an end to his plan but he did not, so Egypt decided to bring [Abbas rival] Dahlan back into the Palestinian arena,” Hani al-Masri, head of the Palestinian Center for Policy Research and Strategic Studies – Masarat, told Al-Monitor. Abdallah Abdallah, a member of Fatah’s Revolutionary Council, told Al-Monitor the upgrade in Hamas’ relations with Egypt is temporary and a measure of convenience. The situation doesn’t worry Fatah, according to Abdallah, and Rajoub’s and Shtayyeh’s accusations were unfortunate anomalies. The Muslim Brotherhood was affiliated with the previous Egyptian regime, and the current Egyptian government considers the Brotherhood to be a terrorist group. Hamas said in May that it would end its association with the Brotherhood, but many — especially Fatah and Israel — doubt that will happen. Despite Abdallah’s comments, the highly unusual public display of animosity between Fatah and Egypt raises questions about the real reason Fatah is so angry at Egypt and why the countries’ bilateral channels failed to contain the conflict before it reached the media. Egypt did not officially comment on the accusations made by Fatah leaders, but its anger was obvious when Egyptian President Abdel Fattah al-Sisi and Egyptian Foreign Minister Sameh Shoukry failed to welcome Abbas at the Cairo airport July 8. Instead, he was received by Egyptian Minister of Electricity Mohamed Shaker and some security officials. Sisi did meet with Abbas on July 9, but they were unsuccessful in defusing tensions. On July 8, the head of Hamas’ political bureau, Ismail Haniyeh, attended a ceremony held by the Egyptian community in Gaza in a funeral home to honor the 23 Egyptian soldiers who died during an Islamic State attack July 7 in Sinai. Haniyeh’s attendance signals Hamas’ improved relations with Egypt. There was no ceremony in the West Bank, where Fatah is in charge, to mourn the soldiers. There has been widespread speculation that Sisi intends to see Abbas step down as PA president. Yoni Ben Menachem, a former Israeli intelligence officer, told News 1 on July 3 that Sisi will topple Abbas. He said Sisi is preparing to eliminate Abbas from the political scene and is no longer taking him seriously. This knowledge makes Abbas nervous and may be pushing him to lash out at those surrounding him. The relationship between Fatah and Egypt has reached the bone-breaking stage, especially with Abbas as head of the movement. Abbas has a personal issue with Egypt because it insists on bringing Dahlan back to Fatah. Perhaps Egypt believes it is now time to turn the page on Abbas once and for all. 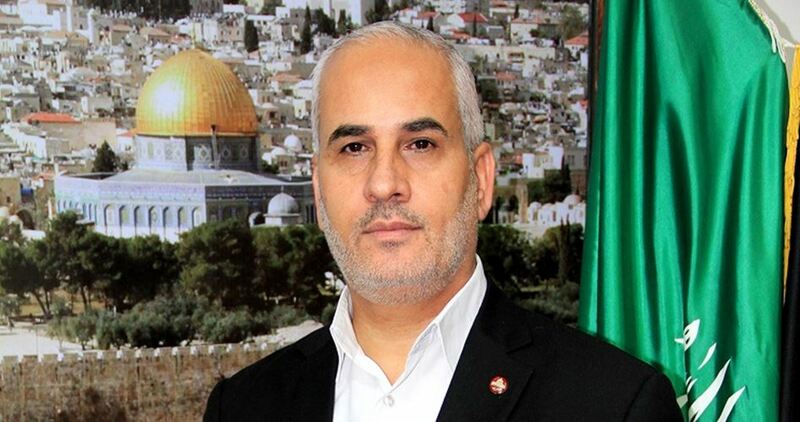 Hamas’s spokesman, Fawzi Barhoum, called in a press statement on Saturday for escalating the Jerusalem Intifada in response to closing al-Aqsa Mosque and banning prayer there by the Israeli authorities. Barhoum said that this crime falls in line with a religious war waged against the Palestinian holy sites, holding the Israeli government fully responsible for the consequences of this move. Barhoum called on the people of the Arab and Muslim nations to demonstrate in front of the Israeli embassies everywhere to support al-Aqsa Mosque and pressure Israel to stop its violations. The Islamic-Christian Commission for Patronizing Jerusalem and Holy Sites announced Saturday that it had completely lost control of al-Aqsa Mosque because of the Israeli tightened measures in Jerusalem that led to closing the Mosque for the second day in a row. The Israeli police threatened on Saturday to fine the merchants who open their shops in the Old City of Jerusalem. Merchant Tareq al-Amouri told Quds Press that Jerusalem has not witnessed such a bad situation for years. Amouri said that despite the short distance between his house and his shop in the Old City, it took him an hour and a half to reach the city because of the so many checkpoints he had to pass through. He pointed out that when he approached Bab al-Amud checkpoint, the Israeli police did not allow him to pass. The merchants who opened their shops on Saturday were beaten by the Israeli police and threatened to be fined with 5,000 shekels (1,400 dollars) if they did not close their shops immediately, he affirmed. 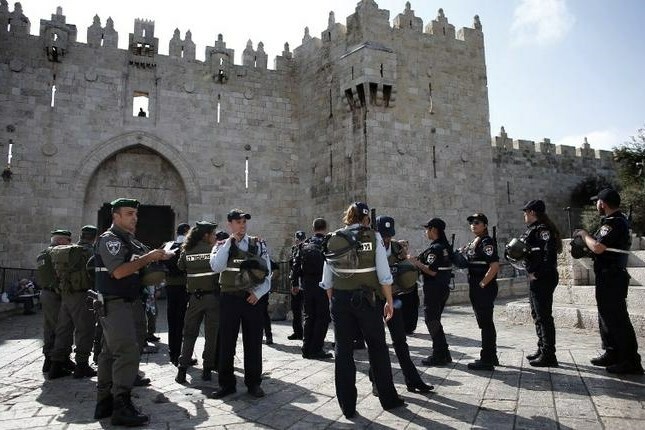 Amouri reported that no one is currently allowed to enter the Old City except its residents after being subjected to “humiliating” physical searches. Three Palestinian youths were killed on Friday in an armed clash with the Israeli police near al-Aqsa Mosque. Two Israeli officers were also pronounced dead. Following the clash, al-Aqsa Mosque’s gates were closed before Palestinian worshipers for the first time since 1969 and many checkpoints were deployed in the Old City. According to Israeli police statements, the Mosque will remain closed until the completion of all investigations into the incident. Massive vigils and marches were staged on Friday night in different areas of the Gaza Strip in protest at the measures that were taken recently by Palestinian Authority chief Mahmoud Abbas and his government against the population in the impoverished enclave. The protest rallies were organized by the National Anti-Siege and Reconstruction Movement Commission and the Hamas Movement, and took place in Jabalia refugee camp, al-Shuja’iyya neighborhood, Khan Younis City, the northern and central districts of Gaza, Gaza City, and Rafah. 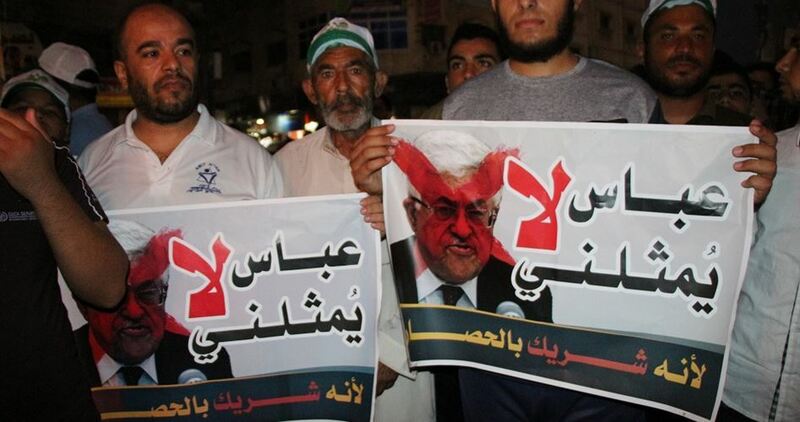 Thousands of citizens participated in the protests, carrying placards and pictures of Abbas and premier Rami al-Hamdallah that denounced their involvement in the blockade on their own people in Gaza. During one of those protests, senior Hamas official Isam al-Da’alis told the Palestinian Information Center (PIC) that the Palestinian citizens took to the streets in thousands to condemn Abbas for depriving them of electricity, medical care and salaries. General Coordinator of the opposition’s High Negotiations Committee (HNC) Riad Hijab said that the political process is proceeding very slowly because of the lack of desire on the part of the Assad regime and its allies to reach a political solution and their attempt to block all roads leading to it. Speaking during a meeting with the HNC mission in Geneva after arriving in the Swiss city on Thursday afternoon, Hijab stressed that the HNC is committed to the political process even though it is moving slowly. “We have laid out many proposals that have been met with positive response and helped push the political process forward,” Hijab said. “We are fully engaged in the political process and see ourselves as partners in the shaping of the future of our country and maintaining the unity of Syria and its social fabric,” Hijab stressed. Planning and Building Committee in the Israeli Jerusalem municipality approved last week a scheme to build 355 settlement units and two playgrounds in Gilo settlement, according to Hebrew media sources. The project will be implemented on a 5-dunum land belonging to the so-called Israel Land Authority. 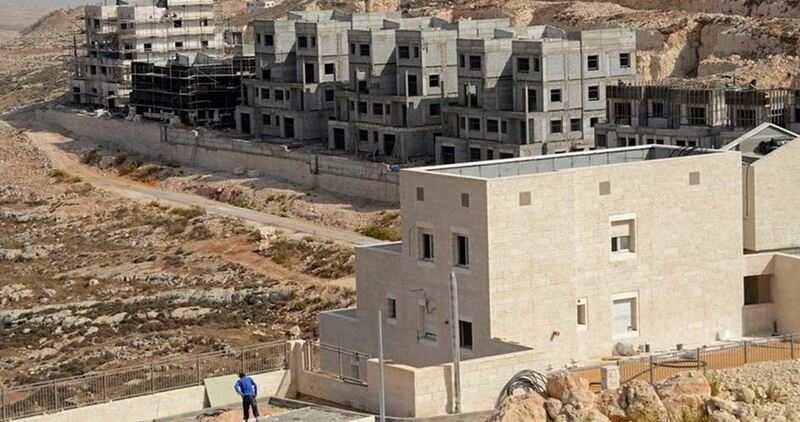 Iroshalim weekly newspaper reported that a tender was published last week for the development of lands located in Jabal al-Mukaber area to the east of Occupied Jerusalem in preparation for the construction of 1330 hotel units there. According to the tender published by the Government Tourism Company, the executive wing of the Israeli Ministry of Tourism, the cost of the required development works is approximately 10.6 million shekels. Israel Land Authority had earlier published tenders for the construction of a number of hotels in the area. Each hotel consists of 7 or 8 floors, and the whole building area will amount to 129,000 square meters. A special bus stop will also be established to be shared by all hotels.